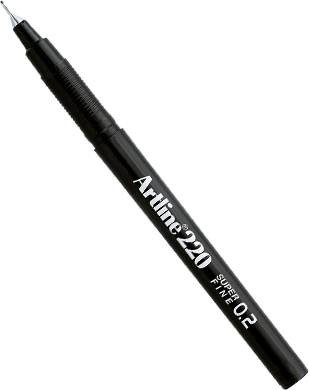 The Artline 210 has a slightly larger tip, making it ideal for all general writing and drawing where bold lines are required. The ink is water based, instant drying and blur proof. 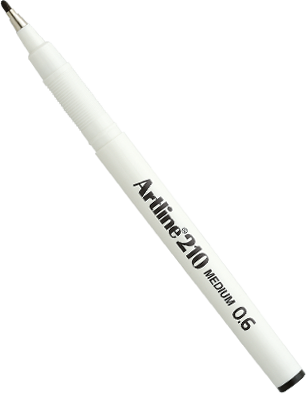 The superfine plastic tip on the Artline 220 makes it ideal for use with stencils or lettering guides. 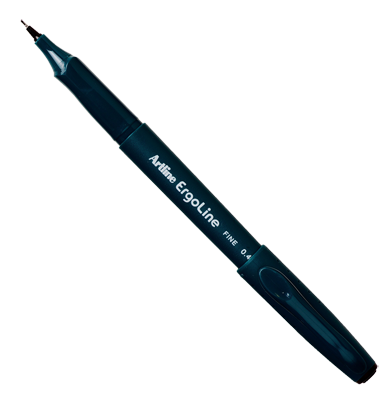 The instant drying, water based and blur proof ink is suitable for all general writing and drawing. With just a click, the pen’s retractable tip appears. An eye-catching device ideal for business and other presentations. 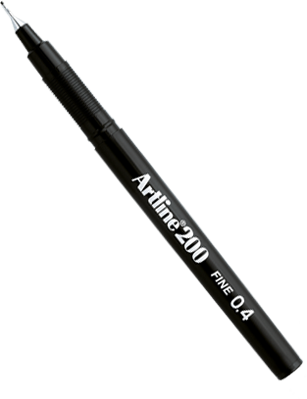 The dense black, water based ink in the Artline 204 Faxblac makes it ideal for use with photocopiers and faxes, where clear reproduction is required. 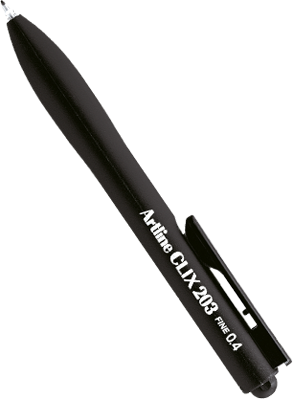 Featuring an advanced ergonomic grip designed for greater comfort and increased control while writing. 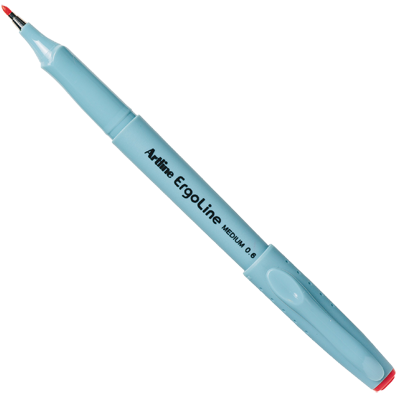 The ceramic roller ball ensures smooth writing. Ink is instant drying and blur proof.